IAAI holds its members to the highest ethical standards as defined by the IAAI Constitution and By-Laws, and IAAI Code of Ethics. IAAI takes all ethical practice grievances seriously. Individuals with knowledge of an ethical breach by an IAAI member are encouraged to submit an EPG complaint for further investigation by IAAI. 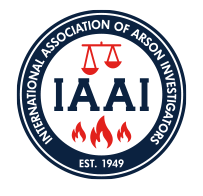 To file a grievance against an IAAI member, please download, print, and fill out the EPG Complaint Form and send it to Gloria Ryan, Director of Administration, via her email or US mail to her attention at International Association of Arson Investigators, Inc., 2111 Baldwin Avenue, Suite 203, Crofton, MD 21114. Please download the Ethical Practice and Grievance Committee Standard Operating Procedure for detailed information on the complaint process.